The Kawasaki Vulcan S is a cheap way into the cruiser market and it’s a solid little bike, too. Smaller or less experienced riders will love the low seat and the bike’s lightness, whereas more seasoned bikers will appreciate the high, narrow pegs and underbelly exhaust aimed at avoiding the handling pitfalls of traditional cruiser models. The engine is a 649cc parallel twin which has been tried and tested in the Kawasaki ER range and proved to be resilient and reliable. The Vulcan manages to look the part as a cruiser without being a carbon copy of a Harley-Davidson or Indian. In many ways it makes more sense on UK roads than its American counterparts. 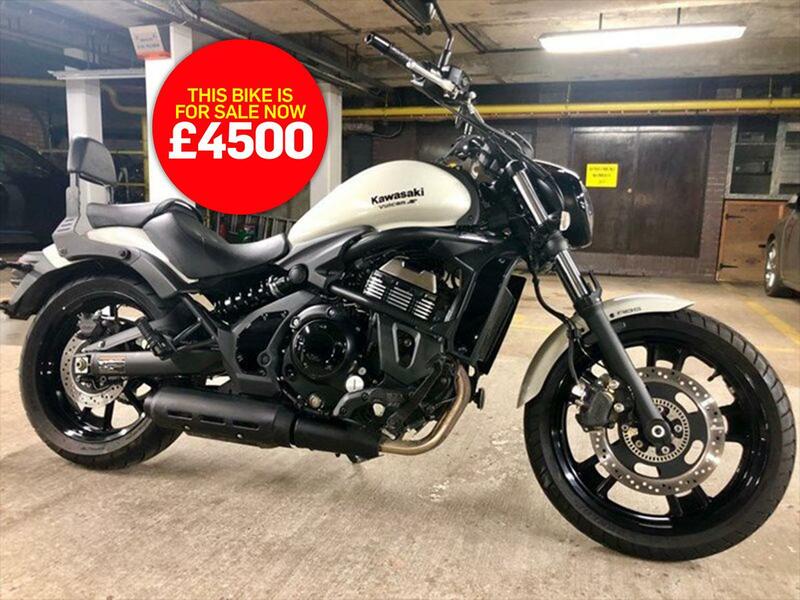 The private seller of the bike shown above says: "This Kawasaki Vulcan S ('66 plate) is finished in beige with just under 4000 miles on the clock and an R&G sissy bar fitted. It has a full, main dealer service history and two years remaining on its Kawasaki extended warranty. The MOT will run until December 20, 2019. "The bike is in immaculate condition cosmetically and mechanically. An A2 restrictor kit is currently fitted but it can be easily removed by Kawasaki (if this is make or break for purchase please let me know). I am selling due to new car purchase unfortunately. "Used for road trips and summer cruising, it has always been kept in an underground garage, never outside. The extended K-care warranty runs until December 19, 2020. Get in touch for viewings and it can be tested up and down in the car park of my building." "What it lacks in presence and excitement it makes up for in practicality and affordability"